Remember the good old days (or bad old days for some of us)? The days when you didn’t have to choose between 30 different varieties of Oreo cookies? It feels like only a fever dream that there was a time when we only chose between regular Oreos and Double Stuf Oreos. In the past few years, the folks at Nabisco have released such flavors as Mickey Mouse Birthday Cake, Strawberry Shortcake, Apple Pie, Cinnamon Bun, Firework (with Pop Rocks), Peeps, Candy Corn, and even Red Velvet. Fans of the last flavor rejoiced because they finally had cream cheese frosting nestled between their favorite cookies. Well, they’ll be happy again because the brand’s newest flavor is Carrot Cake. Everyone’s favorite vegetable-based dessert is finally available in the cookie form it deserves. 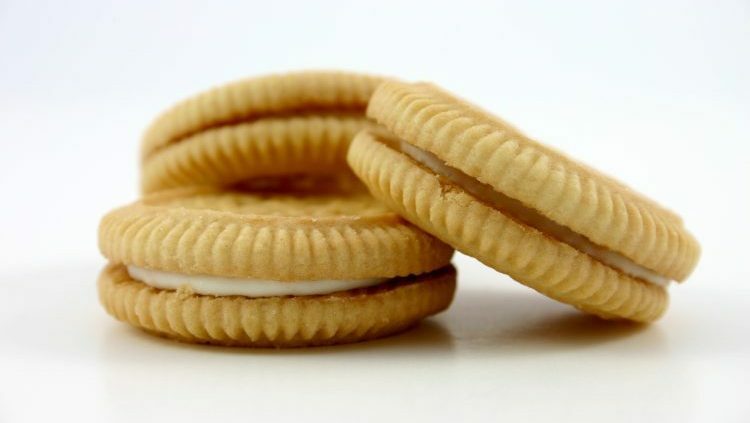 Carrot Cake Oreos hit shelves this month and are a new permanent offering available nationwide wherever Oreo cookies are sold. The new cookie features a carrot cake flavored cookie with cream cheese frosting flavor creme. So now, instead of mixing together ingredients like grated carrots, cinnamon, cream cheese, vanilla extract, eggs, and all-purpose flour, you can stop into Target, Walmart, or your local bodega and grab a package of these carrot cake-esque cookies. If you’re a fan of the iconic cake like we are, this might be one of the best possible Oreo creations as instead of it being a cake with icing, it consists of two carrot cake-flavored cookies with cream cheese frosting in the middle. We haven’t tried it yet, but we’re sure it’s better than Cherry Cola and Buttered Popcorn Oreos. 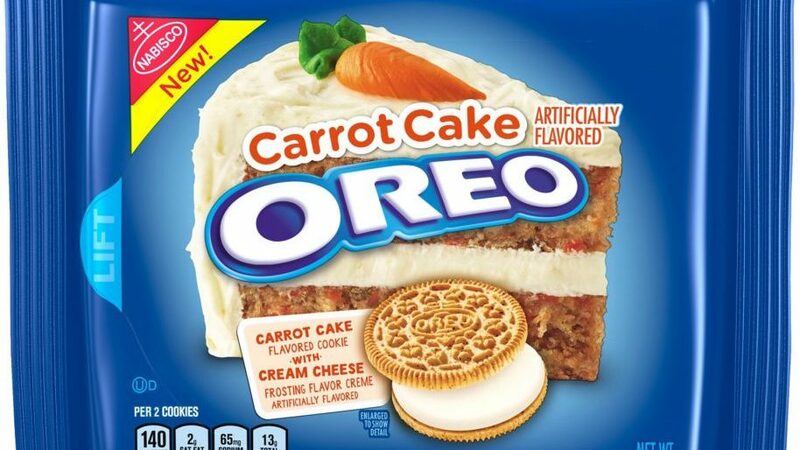 Sadly, unlike some of the other newer variations, Carrot Cake Oreos don’t contain any mouth, sparkling Pop Rocks.